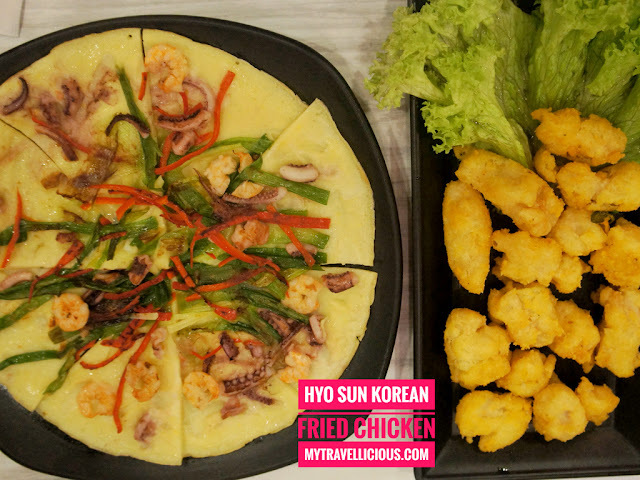 Hyo-Sun Fried Chicken is located on the first floor of The Curve Damansara nestled in between Hayaki and Malones If you are coming up the escalator from TGIF, Hyo-Sun is immediately to the left upon reaching the top of the escalator. Did I also mention that at Hyo-Sun, they have unlimited rice as an option on their combos? 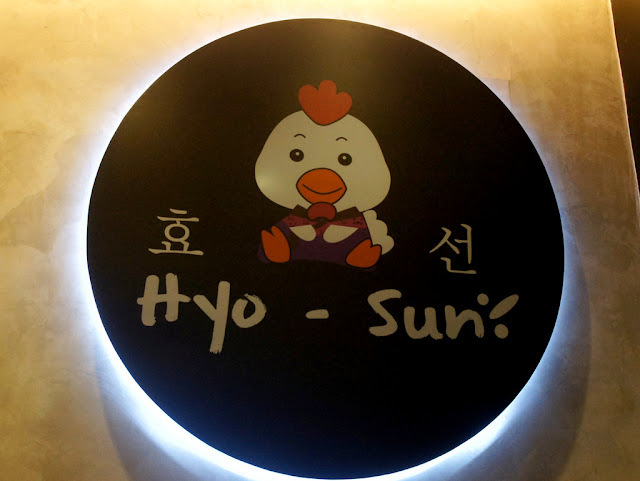 Hyo-Sun is also pork-free and alchohol free resturant, and all its meats and ingredients are obtained from suppliers with valid halal certification. 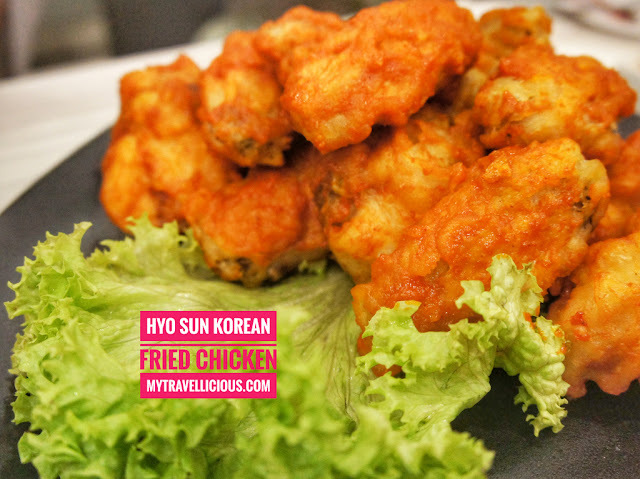 Hyo-Sun's signature Korean fried chicken flavours are the Honey Fried Chicken, Spicy and Crispy flavours. One bite into the honey chicken and the immediate reaction should be a sweet tinge while the spicy option promises on adventure to your picy pang. 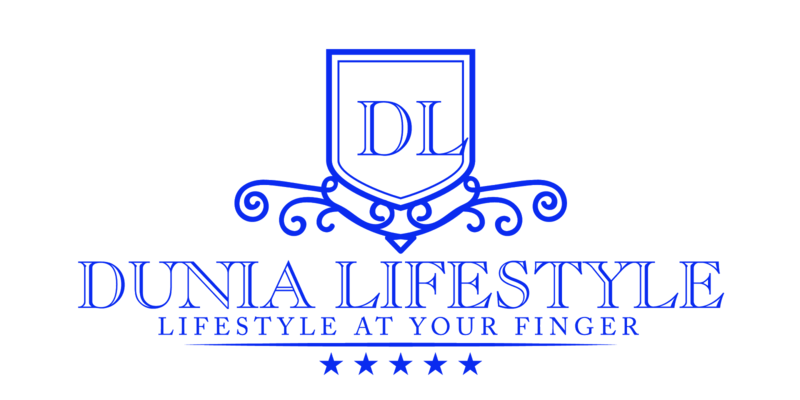 The crispy flavor gives you that extra crunch whilst providing a wondrous homemade style taste playing on your taste buds. 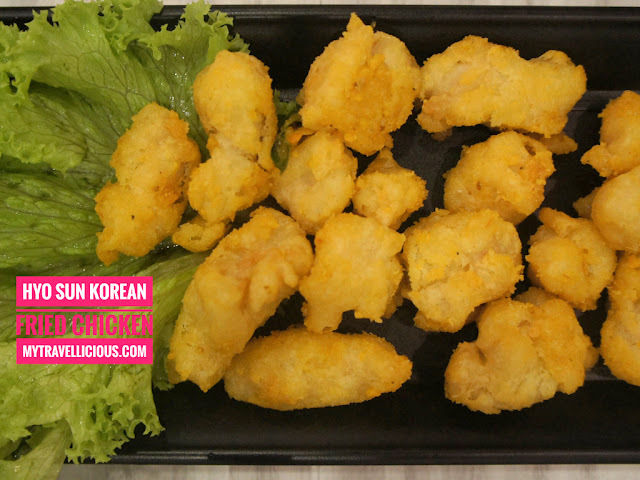 Korean recipe breast strips are crispy and crunchy on the outside and tender on the inside. 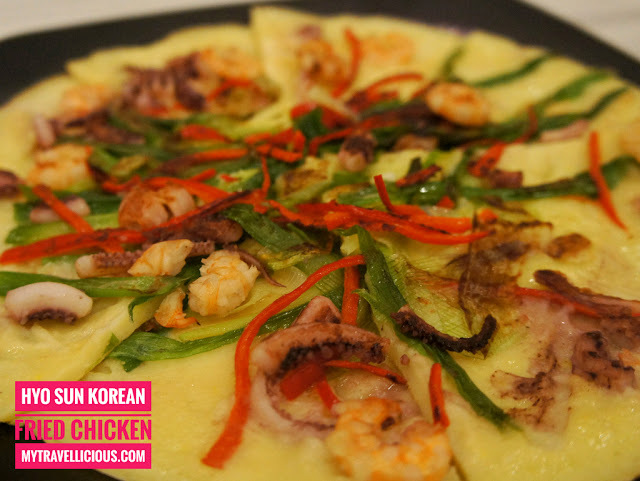 Among the menu items offered includes a range of side orders, rice dishes and the ever-famous Kimchi Noodles. 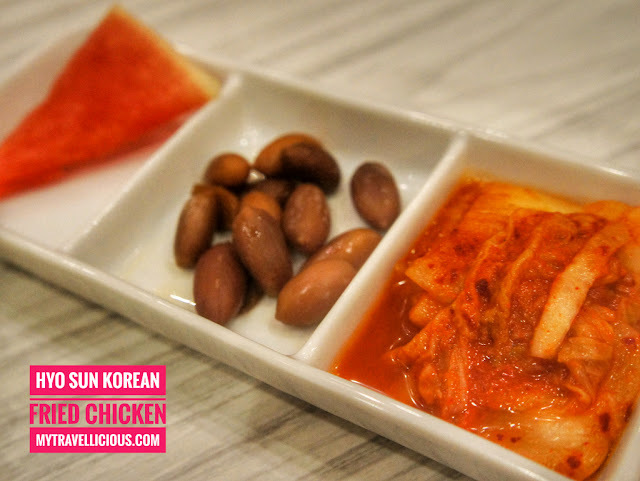 This spur and spicy menu offers diners a refreshing take of Kimchi when erved. 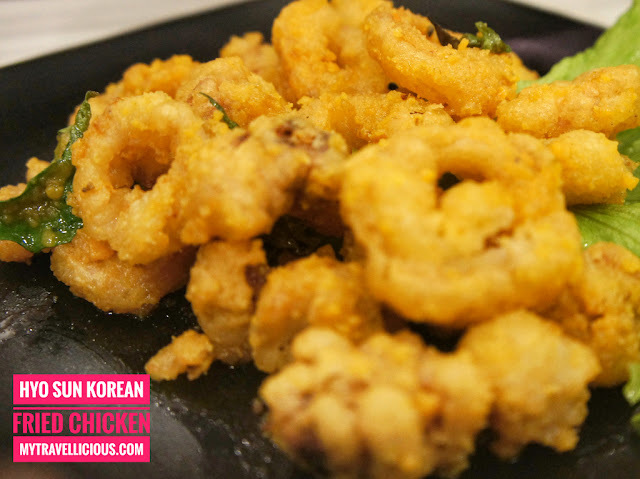 Bathed in a spicy broth, the sour that comes from the Kimchi balances the spicy flavours and fits well within the bowl. 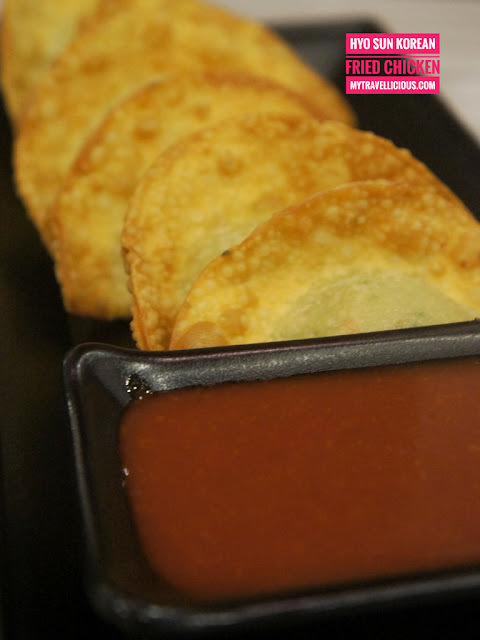 They also have a range of side dishes that are very popular in the Korean street food culture, which is the Korean Pancake the Pa-Jeon and Fried Dumplings known as Mandoo. 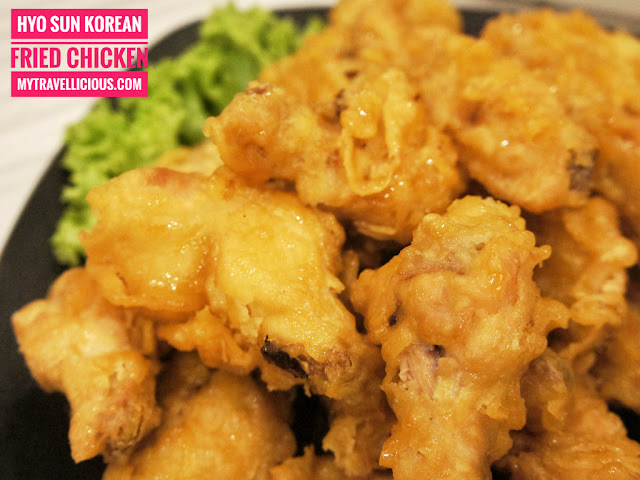 These side orders will definitely compliment your main course items and goes well with the fired chicken. 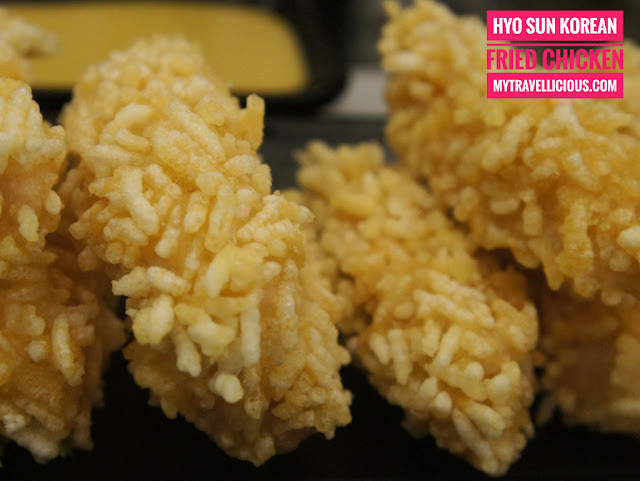 Just follow Hyo-Sun on social media on Facebook at www.facebook.com/hyosunkoreanfriedchicken or Instagram @hyonsumalaysia for the latest seasonal specials.